Filing away your important papers doesn't have to mean putting an ugly metal file cabinet in the middle of your home office. This file cabinet embodies both visual charm and functionality. 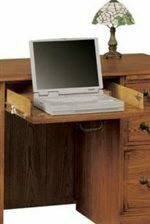 Its classic design allow the natural beauty of the woodwork to truly come through. The file drawers hold letter/legal files. The Heritage Oak Two-Drawer File Cabinet by Winners Only at Crowley Furniture & Mattress in the Kansas City Area: Liberty and Lee's Summit, MO & Overland Park, KS area. Product availability may vary. Contact us for the most current availability on this product. 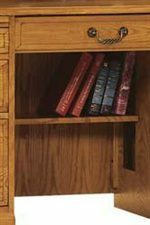 The Heritage Oak collection is a great option if you are looking for Traditional furniture in the Kansas City Area: Liberty and Lee's Summit, MO & Overland Park, KS area. Browse other items in the Heritage Oak collection from Crowley Furniture & Mattress in the Kansas City Area: Liberty and Lee's Summit, MO & Overland Park, KS area.